Want to feel old? I already did before I saw this (oh my back, oh my eyesight, where did my hair go? get off my lawn...). 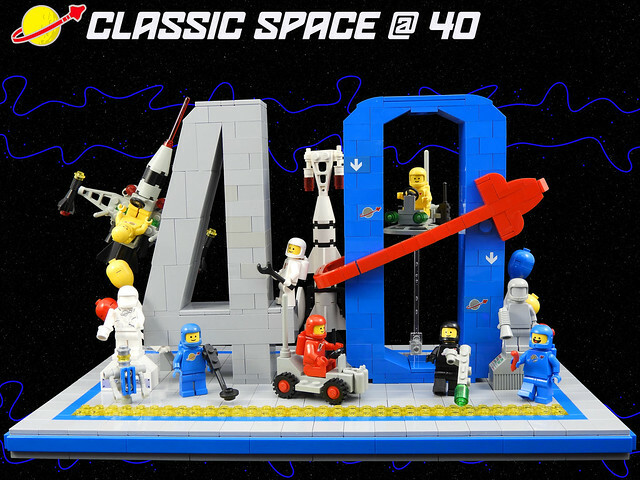 Yes, Classic Space has turned forty, and it hasn't aged a day, incredible. Builder justin_m_winn celebrates this momentous occasion with this spectacular tribute. It was a big part of my childhood, and it makes me very happy that it's still a part of my life.